Spring can show itself if many different ways, despite the snow. Now here's some news that will make you smile. Know what these are? TOMATO STARTS! Go ahead, give a shout for joy! I can personally guarantee they have a wonderful tomato aroma. (Boy, I'm hungrier than I thought.) Shain started these seeds on March 11 (see it written on the pop sicle stick?). 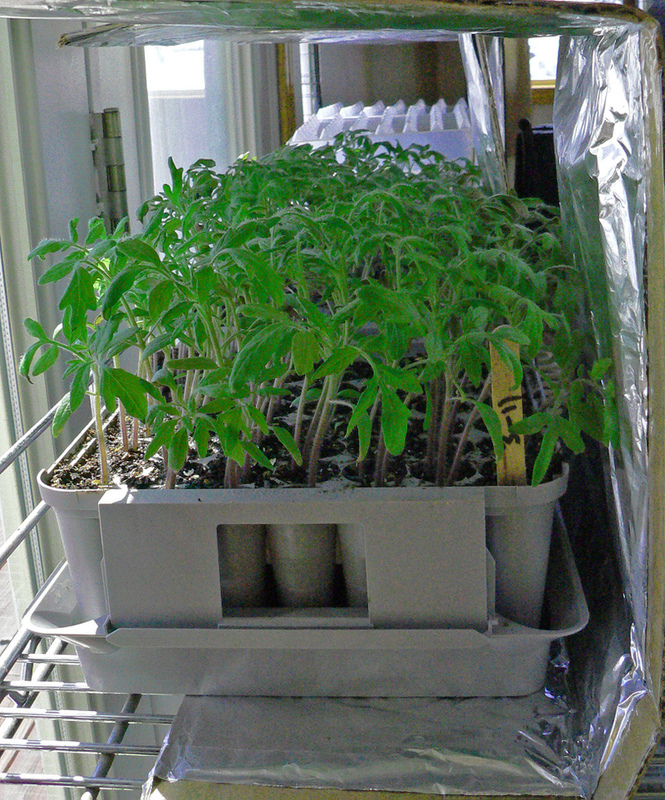 They will get transplanted out in greenhouse #4 this week, on or about April 15th. Don't worry, this isn't all of the tomatoes we'll be growing. Just an early variety. There are 100's more to come. This is one of the funnest signs of Spring! Aren't they cute? These are my three new goat babies. Tula (photo below, left) was born March 13th. April and Fred (below, right) came on my birthday, April 1st. 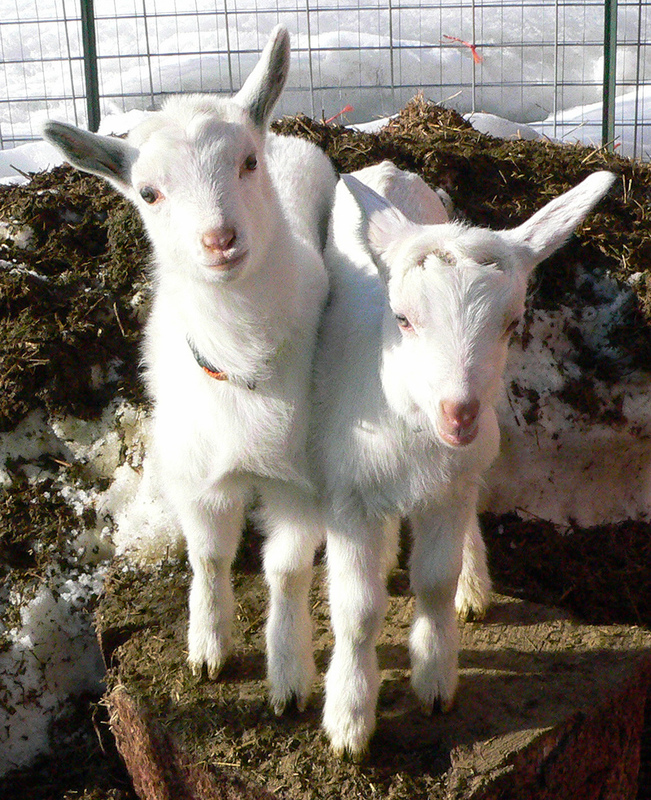 We have a small heard of Saanen dairy goats which provides our family with fresh milk (and goat cheese) most of the year. 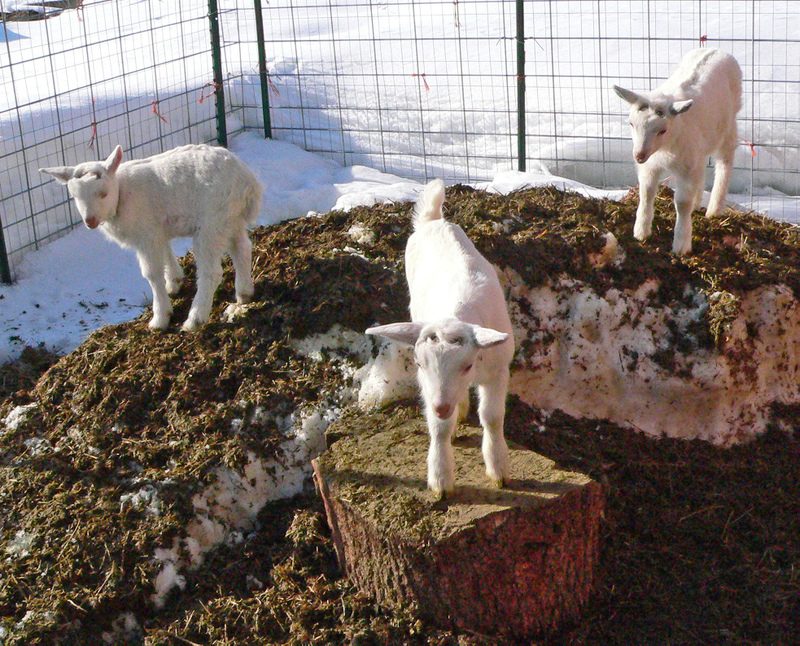 The goats also provide us with LOTS of compost, as you can see in the pictures. Don't be alarmed by the small circles on the kid's foreheads or the green tint to Tula's ears. These pictures were taken after the goats were disbudded (to prevent them from growing long sharp horns) and tatooed. The markings will be gone in a few weeks. Let's talk about this SNOW! 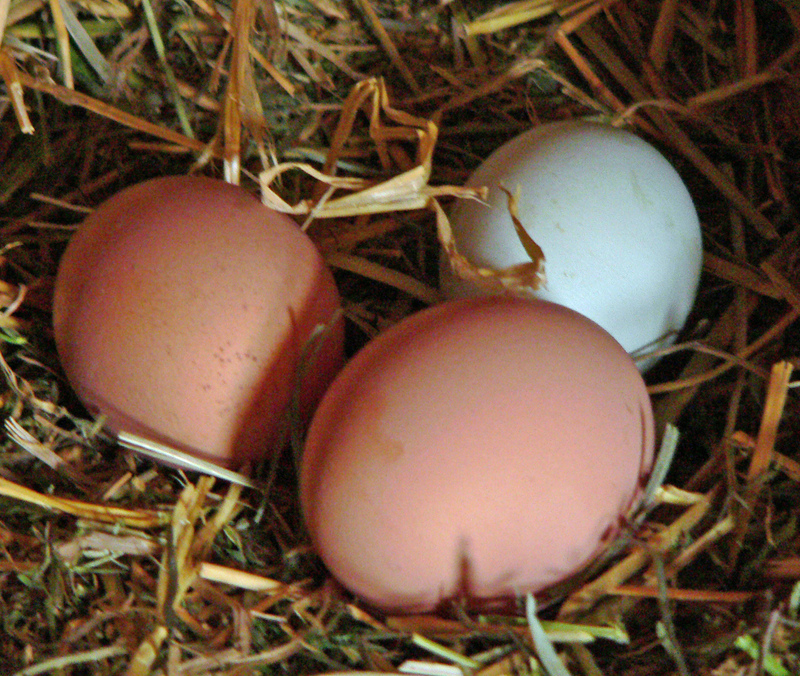 Perhaps a few pictures will help me demonstrate our current state of affairs here at EverGreen Farm. No major differences to point out between these two pictures. In early March we expect to see this much snow. 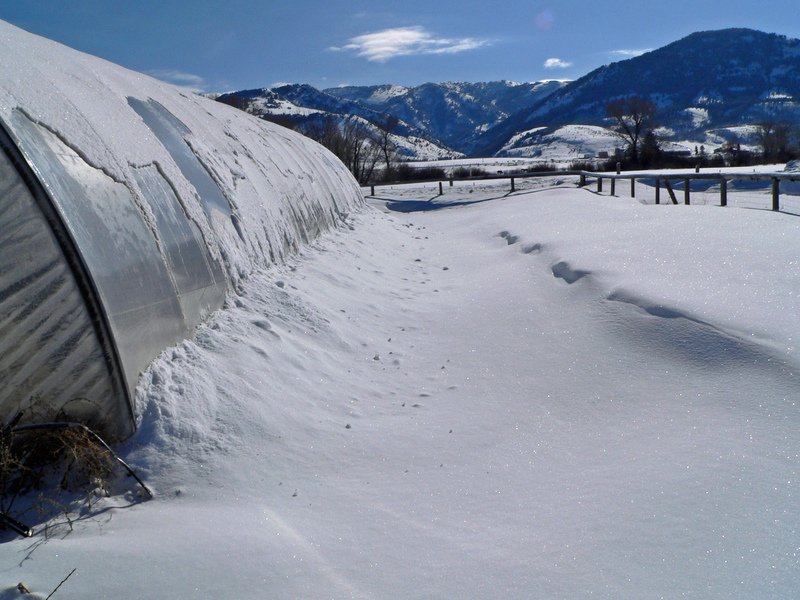 After all, this is Star Valley, Wyoming. Now here is where the comparisons get interesting. Notice anything different? I was amazed to look back on these 2007 pictures. Then I got a little depressed. Now take a look at both photos on right. I think there is more snow here now in April than we had in March. Can that be possible? I keep looking for a sign, any sign, that the snow is melting. I look at fence posts. What do you think? More? Less? I guess it doesn't matter when you look at last year's April 5th photo of bare workable ground. 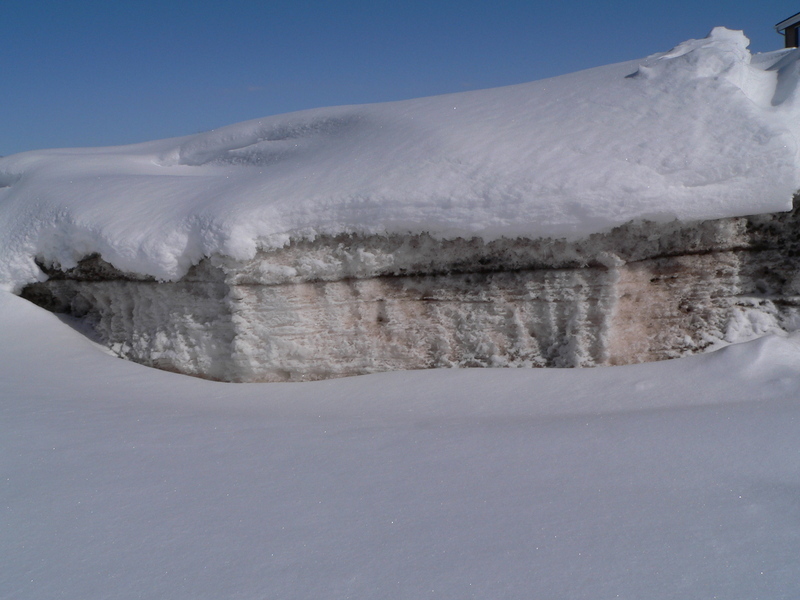 So folks, what I'm trying to say is that we still have quite a bit of snow on the ground here. Yes, quite a bit of snow. 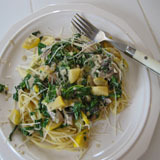 How does this affect our 2008 CSA season? I'm sorry to say, this unpredictable snow level puts our first delivery date off by a few weeks. So this is the plan. 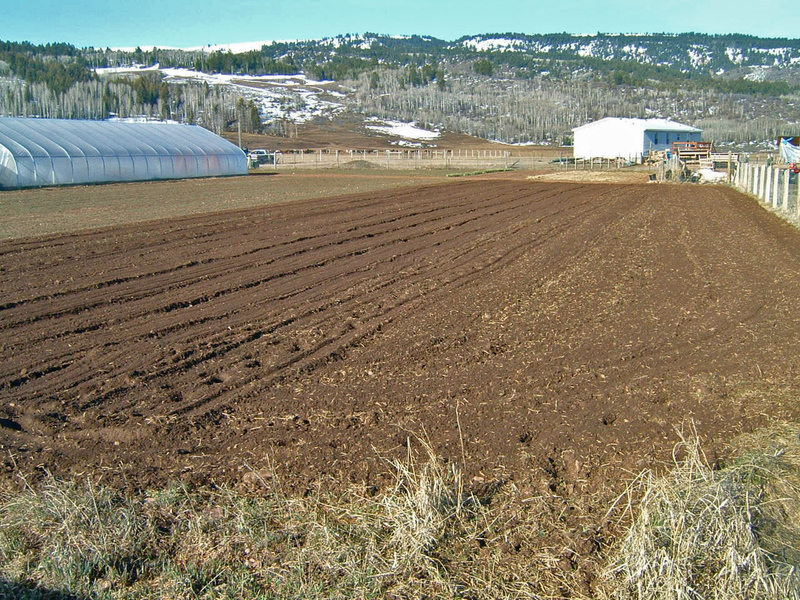 If the fields are clear by the first of May we will plant right away and hopefully start harvesting greens for you by the middle of June. Meanwhile, the snow outside has no baring on the timely planting of those crops we grown in the greenhouses, like tomatoes and basil. Speaking of greenhouses. Allow me to address one question some may be thinking. 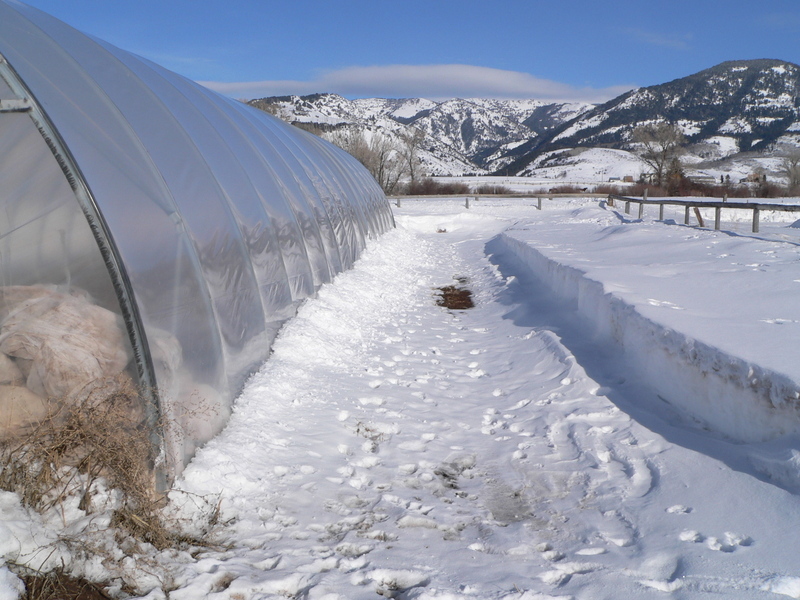 "Why don't you have all those greenhouses planted with early season crops right now? 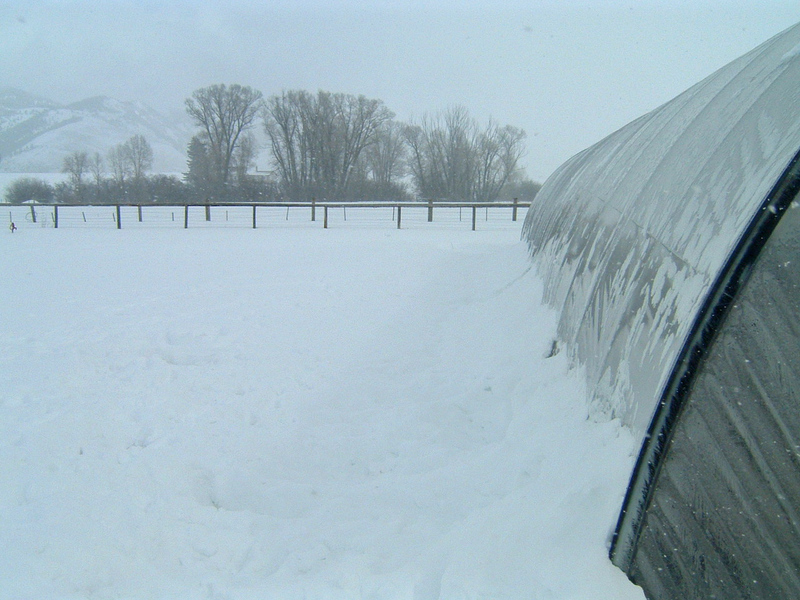 If you did, you wouldn't have to be worrying about the snow level and we'd have our food on time." It's a legitimate question. The first year of this CSA we planted the greenhouses very early in the season with several varieties of greens, and greens, and more greens. 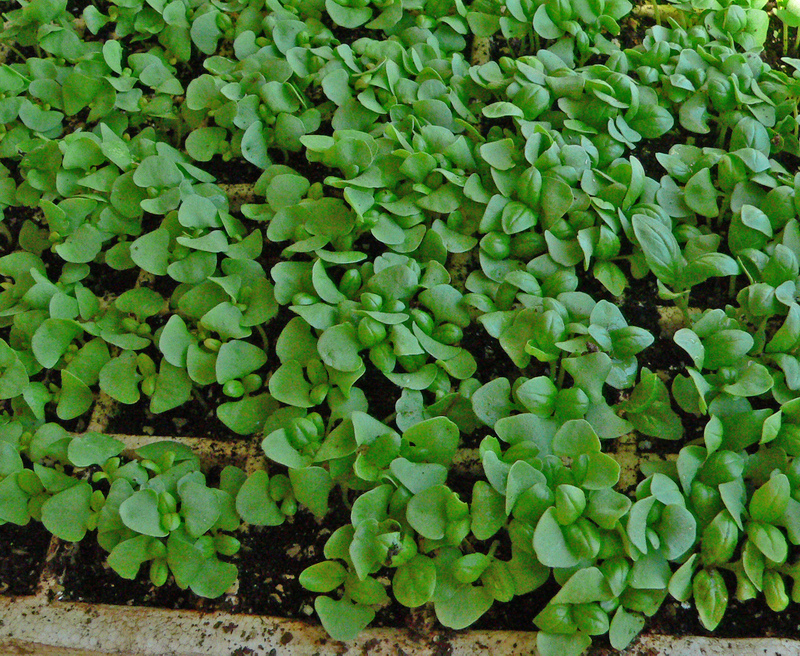 Because greens are what grow in the cold. 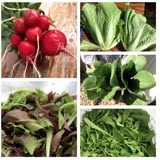 We thought that's what the members wanted, to start receiving produce as early in the season as possible. Trouble is, that because the greenhouses were full of cold weather greens, we couldn't get an early start on tomatoes, basil, green beans and other heat loving crops which can only be grown in a greenhouse. That first year it was a trade off we didn't calculate very well. We learned that our members highly preferred the alternative farm plan of starting the season a little later by planting cold weather crops outside as soon as possible and saving the greenhouse space for the beloved tomatoes, herbs, cucumbers, and green beans. Live and Lean. I hope you will be agreeable to this explanation and our decision. Enough serious business. My next farm update will be more uplifting. There are signs of Spring showing up around here (although most of them are happening indoors). I will take more pictures and show you soon.